LOTTE GLOB is as well-known in the north as many of its hills and her work reflects this. 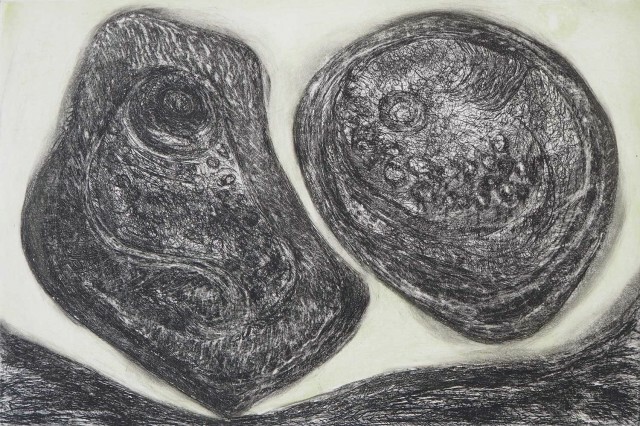 GLOB brings to this show a series of eleven etchings that expand her investigations of nature beyond ceramics. There also a few ‘they followed me backs.’ What are these you ask? They’re friendly creatures that sometime follow the artist off the hills of course.